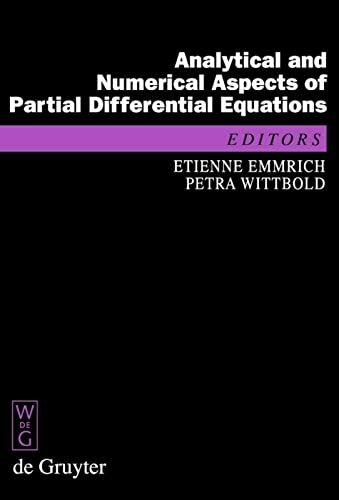 This text contains a series of self-contained reviews on the state of the art in different areas of partial differential equations, presented by French mathematicians. Topics include qualitative properties of reaction-diffusion equations, multiscale methods coupling atomistic and continuum mechanics, adaptive semi-Lagrangian schemes for the Vlasov-Poisson equation, and coupling of scalar conservation laws. Etienne Emmrich and Petra Wittbold, Berlin Institute of Technology, Germany. "The comprehensiveness, integrative nature, and scientific base and approach of the book are impressively, distinctive features having the power to excite attention and shall be highly praised as a remarkable triumph. Superabundantly referenced, it will richly reward the reader's effort."